Irritable bowel syndrome (IBS) is characterized by digestive tract malfunction, including diarrhea, constipation, bloating, abdominal cramps, nausea, and gas. The condition is estimated to affect 20% to 30% of the American population. Root causes associated with IBS include stress, a diet high in refined sugars, low in fiber, food sensitivities or allergies, candida overgrowth, dysbiosis, or parasite infections. A new study published in the BMJ (British Medical Journal) Open Gastroenterology has also found that IBS is linked with low levels of vitamin D.
In a study conducted by researchers at the University of Sheffield in the U.K., 82% of the 51 IBS patients tested had inadequate vitamin D levels. For the study, the participants were randomly given a placebo tablet, vitamin D supplements, or a combination of probiotics and vitamin D for a 12-week period. The low vitamin D status also affected the IBS sufferer’s perception of quality of life, which was measured by the extent the person had reported IBS would impact their life. IBS is thought to account for 10% of general practitioner visits, and it can lead to hospital appointments and lost workdays. One of the study researchers, Vicky Grant, has suffered from IBS for over 30 years and has found other treatments ineffective. After taking a high dose of vitamin D3 (cholecalciferol) supplementation every day for five years, Grant reported significant symptom reduction. The research team plans to conduct larger clinical trials. They suggest that people with IBS should consult their doctor about possible low vitamin D levels. 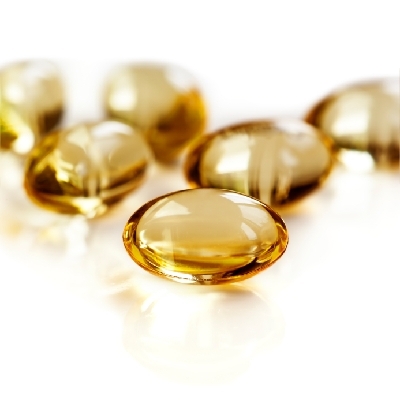 Vitamin D testing and vitamin D supplementation may go a long way in the treatment of IBS. Vitamin D3 supplementation can benefit other conditions, including depression, obese or overweight individuals, bone conditions, chronic fatigue, high blood pressure, heart disease, kidney disease, and other gut conditions such as celiac disease, Crohn’s disease, and inflammatory bowel disease. Natural vitamin D3 is also obtained from sunlight and some foods like eggs, cod, shrimp, and sardines. Another recent study published in the journal Obesity Science & Practice found that vitamin D3 exposure through seasonal sunlight plays a factor in the health of people after weight loss surgery. For the study, Johns Hopkins researchers examined over 93,000 patient records in the U.S. from 2001 and 2010. The research team found that patients undergoing weight loss surgery from January to March had the lowest levels of vitamin D, and they had worst results than those undergoing the weight loss procedure in the summer. Besides vitamin D3, other effective supplementation for IBS includes peppermint oil, gentian root, digestive enzymes, ginger root, aloe vera juice, diamine oxidase (DAO) enzyme, pau d’arco, slippery elm, skullcap, betaine HCl (hydrochloric acid), and a high-quality probiotic. People may also benefit from probiotic foods such as kefir, kimchi, sauerkraut, or kombucha. Tazzyman, S., et al., “Vitamin D associates with improved quality of life in participants with irritable bowel syndrome: outcomes from a pilot trial,” BMJ Open Gastroenterology, 2015; e000052, doi: 10.1136/bmjgast-2015-000052. Locke, T., “IBS Linked to Low Vitamin D,” WebMD web site, December 22, 2015; http://www.webmd.com/ibs/news/20151222/ibs-low-vitamin-d.
Barrera, J., “People Living With Irritable Bowel Syndrome Associated With Low Levels Of Vitamin D, According To Study,” Latin Times, December 23, 2015; http://www.latintimes.com/people-living-irritable-bowel-syndrome-associated-low-levels-vitamin-d-according-361295. “Large proportion of IBS sufferers are vitamin D deficient,” ScienceDaily web site, December 21, 2015; http://www.sciencedaily.com/releases/2015/12/151221071924.htm. Brazier, Y., et al., “Low vitamin D levels associated with IBS,” Medical News Today, December 11, 2015; http://www.medicalnewstoday.com/articles/304361.php. Balch, J., et al., Prescription for Natural Cures: A Self-Care Guide for Treating Health Problems with Natural Remedies Including Diet, Nutrition, Supplements, and Other Holistic Methods (Hoboken: John Wiley & Sons, Inc., 2004), 363-368. Murray, M., M.D., et al, The Encyclopedia of Natural Medicine (New York: Atria Paperback, 2012), 757-763. “Vitamin D levels linked to weight-loss surgery outcomes,” ScienceDaily website, December 22, 2015; http://www.sciencedaily.com/releases/2015/12/151222163650.htm.